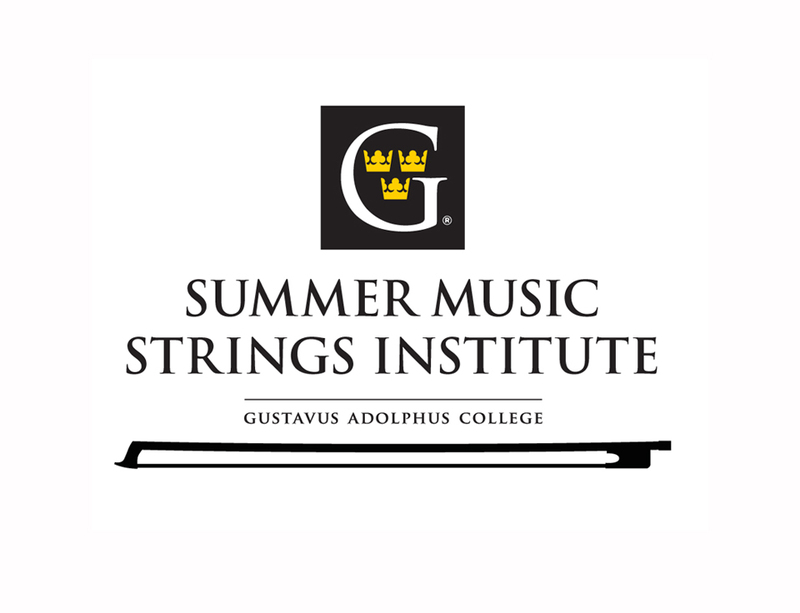 The summer of 2012 welcomes an addition to the summer programs schedule at Gustavus Adolphus College in St. Peter, Minnesota, as the Gustavus Summer Music Strings Institute opens its doors June 17 – 22 in the Schaefer Fine Arts Center. 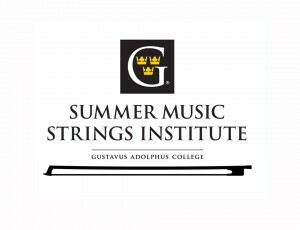 Information and registration for this 6-day, intensive string study institute, led by Dr. Justin Knoepfel and other members of the Gustavus Department of Music, is available online at www.gustavus.edu/camps/stringinstitute. Peter McGuire, violin, Instructor of Violin at Gustavus, is a member of the first violin section of the Minnesota Orchestra. McGuire has served as associate concertmaster of the Cedar Rapids Symphony Orchestra, first violinist of the Pioneer String Quartet of the Des Moines Symphony, and guest principal second violin of the Saint Paul Chamber Orchestra. He has performed as guest assistant concertmaster of the Gürzenich-Orchester Köln, and in recent years he has played with the Berlin Philharmonic. He soloed with the Minnesota Orchestra when he performed the Tchaikovsky Violin Concerto at Inside the Classics concerts in 2008 and performed works by Kreisler and Massenet under Andrew Litton during Sommerfest 2006. Justin Knoepfel, viola and Institute director, joined the Gustavus faculty in 2009. He is a Visiting Full-Time Professor in Violin and Viola and serves as conductor of the Gustavus Philharmonic Orchestra. Dr. Knoepfel has earned degrees in performance from Luther College and the University of Minnesota School of Music. He is a substitute violist with the Minnesota Orchestra and the Minnesota Opera and has worked the Dorian Music Festival, Lutheran Summer Music, Salem Music Academy, Bravo!, and the International Viola Congress. Anna Clift, ‘cello, studied at Indiana University in Music Performance with the legendary pedagogue and performer Janos Starker and earned her MM in Music Performance from SUNY at Stony Brook where she studied with Beaux Arts Trio cellist Bernard Greenhouse. She has served on the Gustavus music faculty as well as well-respected music schools and summer programs including the St Paul Conservatory of Music, Artaria Chamber Music School, Stringwood, Taos International School of Music, Madeline Island Music Camp and St. Olaf Music Camp. Rolf Erdahl, double bass, is Instructor of Double Bass at Gustavus and performs widely as a chamber musician and subs for the Minnesota Orchestra, St. Paul Chamber Orchestra, and Minnesota Opera. Previously Principal Bass of the Duluth-Superior Symphony Orchestra, Winnipeg Symphony and Manitoba Chamber Orchestra, he has performed at the Breckenridge Music Festival, Bergen Philharmonic and the New World Symphony. He has taught bass at the Ball State, the Sewanee Music Festival, and the North Carolina Governor’s School. He holds degrees in music performance from St. Olaf College, the University of Minnesota, and the Peabody Conservatory. A Fulbright and Scandinavian-American Foundation Scholar, Rolf’s doctoral studies in Norway led to his dissertation on the music of Edvard Grieg. Conductor Ruth Lin joined the Gustavus faculty as Conductor of the Gustavus Symphony Orchestra in 2010. In addition to directing the Symphony Orchestra, Dr. Lin also teaches Music Theory and Conducting. She has served as Director of Orchestral Activities at Iowa State University and has conducted the National Symphony Orchestra, the Waukegan Symphony Orchestra and has guest conducted the North Shore Chamber Orchestra, Northwestern University Symphony Orchestra, Northwestern University Philharmonia, Skokie Valley Symphony Orchestra, Central Iowa Symphony, and the Xiamen Philharmonic. Dr. Lin earned her Masters and Doctoral Degrees at Northwestern University in orchestral conducting.